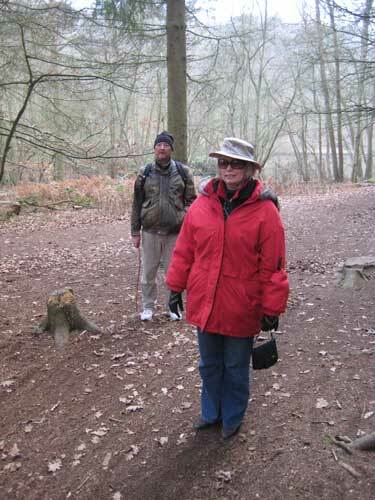 On Wednesdays, when we are at home, Carol joins in with a group of volunteers that helps maintain various local natural habitats for the Greensand Trust. Recently, as well as the more usual scrub clearance (much too much like gardening, for my taste), she has been constructing habitats designed to attract England’s only poisonous creature, the adder or viper, which sounds much more exciting. (Now, where’s that insurance document?) Wednesday was their last gathering prior to Christmas when they apparently traditionally have a large bonfire accompanied by baked potatoes for lunch. 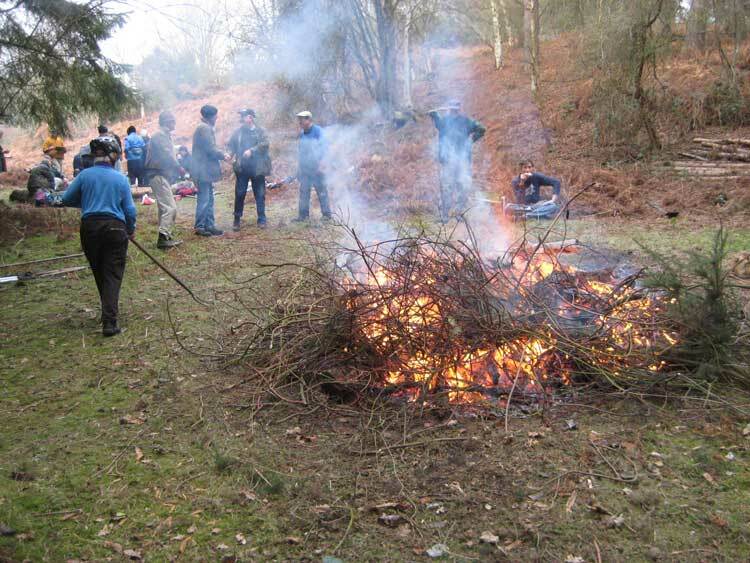 (By all accounts, there are several pyromaniacs in the group which frequently has large bonfires.) Family members and hangers-on were invited to join in provided they came armed with their own spuds to toss in the embers. So, while Keith and Marlene wrapped themselves against the chill of the winter English woodland, I chopped up some fresh chives and stirred them into some soured cream, packed up some butter and, as lunch time approached, we set forth with with our potato toppings to join the bonfire party. 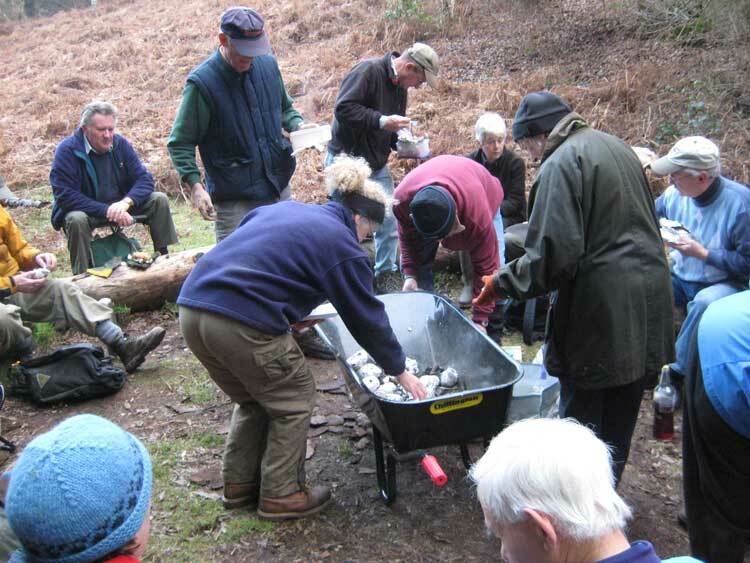 When we arrived, Carol was still working away dragging cut scrub to feed the fire but, since potatoes need very little time at gas mark 28, the ranger’s subtle oven-to-table-ware (a wheelbarrow!) was soon full of baked spuds rescued from the embers of the fire and lunch was on. I haven’t been near a bonfire for many years and I was surprised just how far away the heat from this one could be felt. As is traditional on the last working day prior to Christmas, the workforce was released after lunch and a very grubby Carol was free to return with us for a reviving shower.